During the Third Reich period, revenue stamps were issued for hundreds of purposes, ranging from common governmental purposes such as filing taxes or official documents, to quasi-governmental purposes such as paying dues to the N.S.D.A.P. 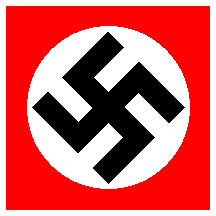 (Nazi Party). Due to the sheer quantity and types of revenues used, this can be a very specialized collecting area, and it’s virtually impossible to define an outer limit of a revenue collection. For this reason, the menus for this section, unlike other areas of the GermanStamps.net collection, will include only those specific revenue areas for which there are stamps in the collection.